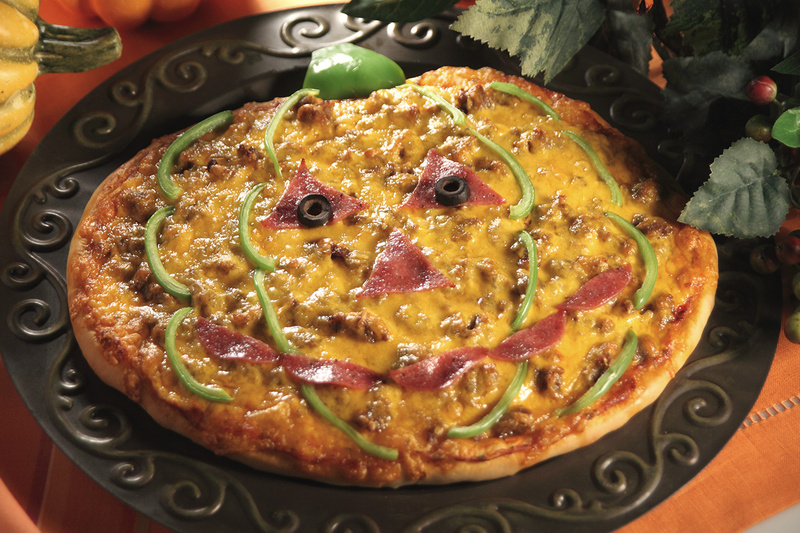 Your ghosts and goblins will have a hard time resisting the urge to dive into this easy to make Happy Jack Pizza. Spray counter lightly with non-stick cooking spray. Combine rolls together and roll into a 13-inch oval pumpkin shape. Place on a sprayed baking sheet. Top with pizza sauce, sausage and cheese. Bake at 350 degrees F 10-15 minutes. Remove from oven and decorate like a Jack-O-Lantern using green pepper strips, salami and sliced olives. Make a stem out of green pepper and place on top. Return to oven and bake an additional 5-10 minutes.